The Bombshells are back in an all-new series! 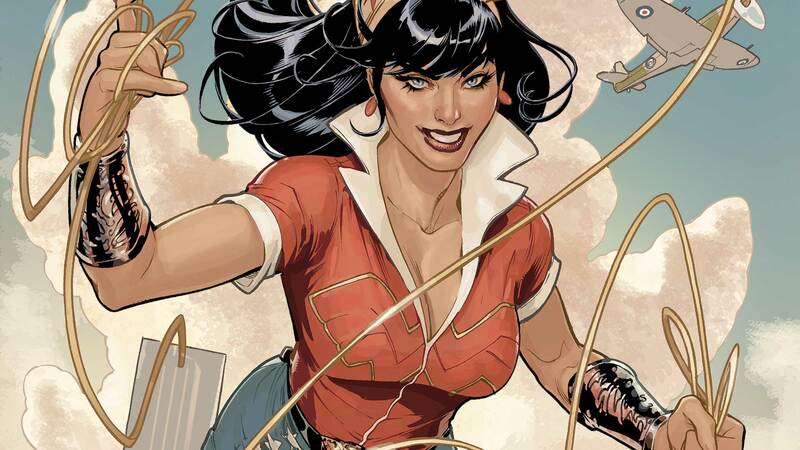 As our new tale begins, the year is 1943, and Wonder Woman is called to Arizona for help by two young girls named Cassie Sandsmark and Donna Troy! The girls’ friends and families are being displaced from their homes and forced into internment camps! To save them, can Wonder Woman fight against the same people she once fought alongside? Collects issues #1-6.